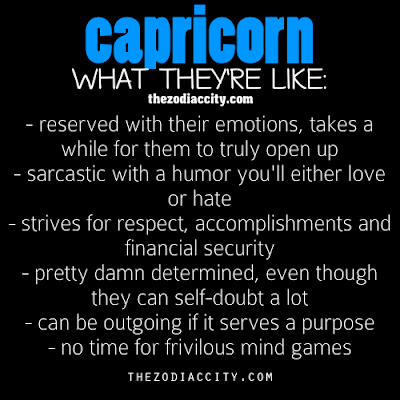 Capricorn: What They're Like #002 | Capricorn Life - Capricorns Rock! 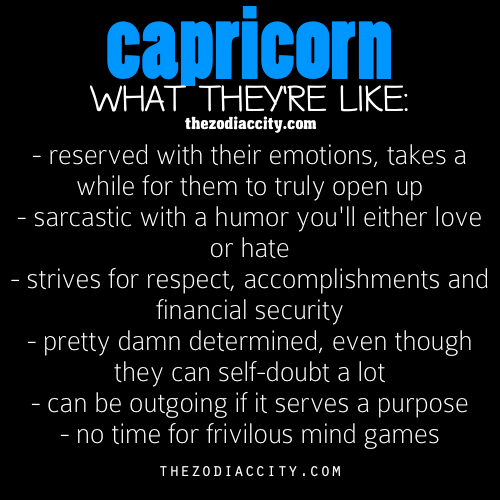 Capricorns are reserved with their emotions, takes a while for them to truly open up. Capricorns are sarcastic with a humor you'll either love or hate. Capricorn strives for respect, accomplishments and financial security. They are pretty damn determined, even though they can self-doubt a lot. Capricorns can be outgoing if it serves a purpose. They have no time for frivolous mind games.